Despite what many people believe, cattle do not spend their entire life in a feedlot. A feedlot is used by producers to finish cattle ready for slaughter, or because a producer’s pastures are insufficient to sustain the livestock on grass alone during particular times of the year. For some regions of Australia, this is not a problem, they may have a high enough average rainfall throughout warmer months to sustain their pastures. They may even the ability to irrigate their pastures to keep the feed year-round. These are areas of Australia that are best suited to producing grass-fed beef. Yet not all producers have this luxury and rely on other methods to turn out quality beef cattle. For many areas of Australia, it is difficult to finish cattle on grass alone to a consistent, high-quality, year-round. This is because of seasonality and fluctuations in weather conditions. Feedlots offer producers the ability to produce a consistent, high-quality product every day of the year. Rations are comprised of grain, hay, silage as well as other ingredients. Cattle can be fed for an average of between 50 to 100 days, sometimes more depending on their market. As cattle grow they require a higher level of nutrition and it can put more and more pressure on pastures as herds mature. Grass-fed beef producers can accommodate this by supplying mineral and vitamin supplements. However, this is not always possible, and beef quality can vary from season to season. 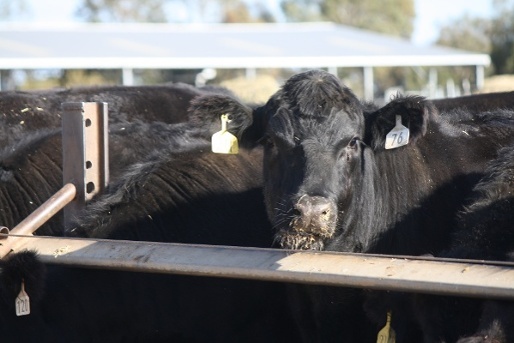 According to the Australian Lot Feeders Association, it is more efficient to feed cattle in a feedlot, because they require less land and time to produce the same quantity of beef. Cattle are typically born and raised on pasture, or pastoral land and spend the majority of their lives out in the paddock. Once the calves are ready they will be weaned from their mothers. Typically, the steers and some of the heifers will be fattened to a suitable sale weight. These weaners will then be left to graze and mature until they are ready to be sold. They can be sold to a variety of markets, including straight to the processor, feedlots or to exporters. The cattle that enter a feedlot are sourced from the grass-fed sector. Feedlots can source cattle from a variety of producers and regions of Australia. 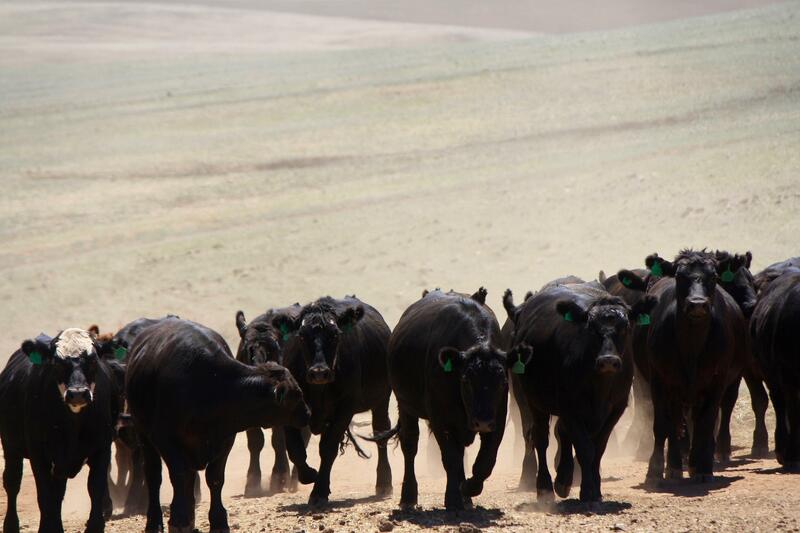 Many feedlots carefully track cattle, not only for traceability reasons but also to assess their performance once they enter the feedlot, and where they have come from can play a part in their overall performance. Feedlots are logically located in regions of Australia where they have easy access to good quality grain and fodder. The fodder is mixed every day and the cattle are fed the specially formulated rations. The rations vary depending on the length of time that the cattle are in the feedlot, as well as the grains and fodder available to the producer. So the grain-fed and grass-fed beef industries are highly complementary and in most regions of Australia, highly dependent on one another. To put things in perspective, only a very small proportion of Australia’s national cattle herd are in feedlots at any one time. Figures reported in 2017 showed that of Australia’s 25 million strong herd, only about 1 million cattle were in feedlots. 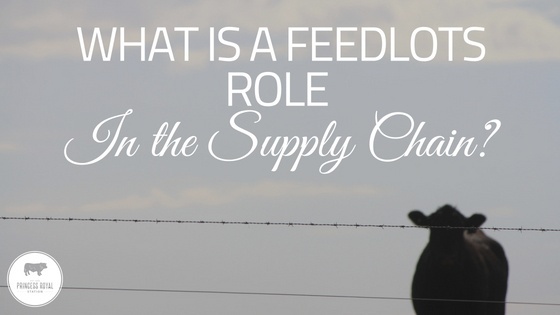 To learn more about what happens in a feedlot check out our article What Happens in a Feedlot.